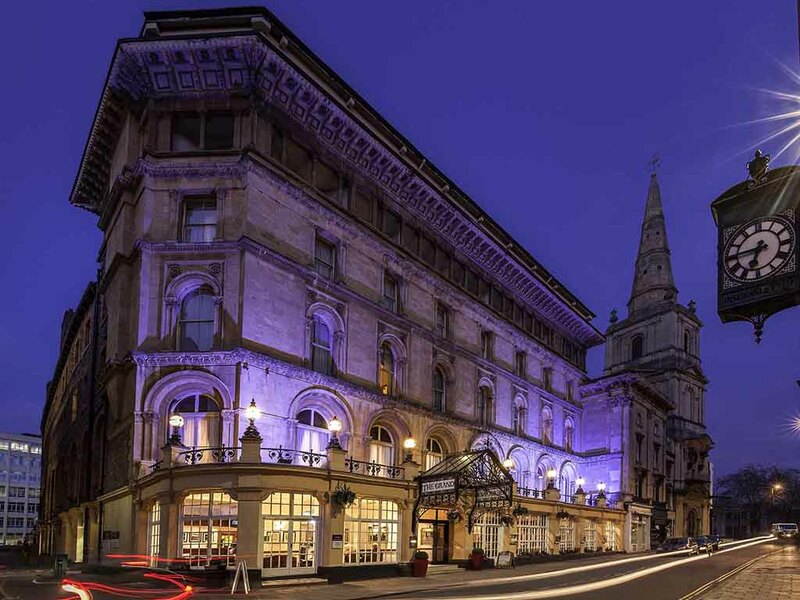 Just one mile from Bristol Temple Meads station, the hotel is easily-accessible for guests visiting the city. Popular attractions such as Bristol Zoo Gardens and the famous Clifton Suspension Bridge are within close proximity too. The hotel was inspired by UpFest, the largest urban street art and graffiti festival in Europe, with local artists influencing the décor. The hotel now features over 500 pieces of commissioned street art, making for a unique guest experience. I thought the room as a double was far too small. I came to Bristol for medical tests so was not feeling on top of the world. I would have liked to have had room service for dinner but with only one chair stuck in a corner and no table it was impossible as there were two of us. I am a full time wheelchair user. I asked for a disabled friendly bathroom which was not given to me. I could not get to the shower or sink to wash etc. Wil not be coming back. Staff were very polite and helpful. Had a surprise free parking, which was pleasant. However, the parking lot felt unsafe and dingy. Swimming pool area and changing room wasn’t as clean as expected for a 4 star hotel and towels were thin rather than luxurious. We had a lovely stay and an upgrade as it was my wifes birthday,room was large very comfortable bed, we used both bar and breakfast area and could not fault either our only down side was when we returned to the room late evening it was freezing the aircon wasn't working only cold air came out as it was very late we just turned it off. I stayed in a premium room using Tesco vouchers towards the cost of the room, which totalled £152 for the night - breakfast was not included for this price! The room was large, the bed comfortable, there was a large walk-in shower and the accommodation was clean. However, the decor was far too trendy and made the room look like a shack, which for the price of the room is not what I expected. For £152 a night I expect a certain amount of luxury. The location is ideal for all amenities in the city centre but there were a number of stag and hen parties booked into the hotel. When we arrived back at the hotel after the even8ng our, there were sixty or more people outside of the hotel making a lot of noise. The noise from the people got louder after we went to bed as our room was above the crowd on the first floor. It was also above the Function room but the noise from this did stop at 12. Whilst I accept there will be noise in a city centre I did not expect hordes of people congregating outside the hotel. The hotel reception and staff were very welcoming. Easy to check in and then locate our room. The room was very spacious, clean and of a nice style which we liked. The facilities in the room were adequate but we were here to enjoy seeing Bristol so was mainly a place to sleep and get ready etc. The Keepers cafe/bar was very nice. Staff here were very friendly, drinks were good and the food was lovely too. Very helpful staff, somewhere to put our bags during the day after we'd checked out. Room was perfect size, got upgraded to a privilege room. We had a great stay for one night in a family room. The hotel is so central and everything worked just fine. Hotel environment is lovely and a bit quirky which we liked. Breakfast was great, bed was comfy. Room was quite dark and had no view except brick walls. In short words: Your Benchmark is the Radisson Blue Hotel - It is by far the best hotel in Bristol. There are good rooms and a really perfect breakfast. The Mercure Grand Hotel had a terrible smell in the corridors, like vinegar or something - disgusting. Breakfast was sufficient, but in comparison to the Radisson very poor. Here my Recommendation: Book a night in the Radisson or any other European Hotel and Change something. Good location, great breakfast, free parking a bonus! We booked an overnight stay with a gift experience voucher worth £120. We were disappointed with the room on arrival small and carpets were visibly dirty with a miserable view of a dirty brick wall. On going to sleep we were constantly woken by slamming doors it was impossible to sleep through so we left early hours. Nobody asked our reason for leaving when we checked out. Overall a poor poor experience.